Roy Lurvey was born in Locke Mills, Maine, where he lived with his parents Ida and Merle in addition to a younger sister Beverly. When Roy was 7, he started taking clarinet lessons. Roy could often be heard performing with his clarinet on the local radio station WCOV. He graduated from Gould Academy in 1947. 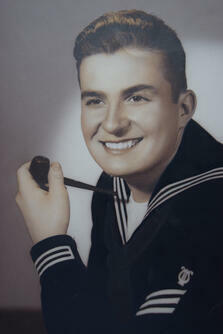 Following graduation, Roy enlisted in the U.S. Navy in November 1947. He attended the U.S. Naval School of Music at Anacostia Naval Receiving Station in Washington, D.C., where he played the clarinet for the Navy band. During Roy’s first enlistment in the Navy, he served on the USS Boxer off the coast of California and Hawaii doing training missions and peacetime patrols. The USS Boxer was dispatched on tour to the Far East in January 1950, and on the day Roy and the Boxer returned to San Diego - June 25, 1950 - the Korean War broke out. Once again Roy was shipped out on the USS Boxer this time heading to Yokosuka Base, Japan, but this time she was carrying 145 North American P-51 Mustangs, 6 Stinson L-5 Sentinels, 19 Navy aircraft, 1,012 Air Force support personnel, and 2,200 tons of supplies for the United Nations troops fighting the North Korean invasion of South Korea. In August, 1950, the USS Boxer departed California once again heading for Korea where they participated in Operation Chromite, the United Nations counterattack at Inchon. 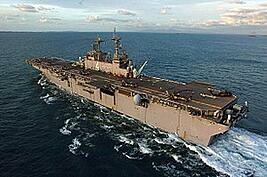 Roy re-enlisted in November 1950, and continued to serve on the USS Boxer. By the time an armistice has been reached in July 1953, the USS Boxer had been on four excursions to Korea with Seaman Lurvey aboard. For his service, Roy received the National Defense Service Medal, Good Conduct Medal, China Service Medal, United Nations Medal and the Korean Service Medal. 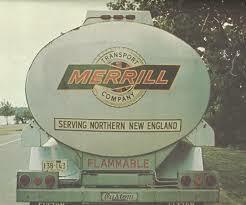 When Roy discharged from the military in 1954, he drove trucks for Merrill Transport Company in Portland. In 1964, for four years, he drove Tanker Oil trucks hauling the winter oil supply up Mt. Washington for the Channel 8 towers. Roy drove trucks for 48 years and accumulated 2.25 million accident free miles. Roy is awful proud of this accomplishment! Roy met his wife Mary Elizabeth while attending high school, and they were married in December 1949. They had 6 children (3 boys and 3 girls), 17 grandchildren, and 20 great grandchildren. They were married for more than 63 years before she passed away. Roy enjoyed playing the saxophone, which he took up following his discharge from the military. He sang and played the saxophone every Saturday at the Buxton Grange Hall. Roy was actively involved singing in his church’s choir in addition to playing the saxophone with the Fanfare Band in Poland. He really loved to sing, singing at all of his children’s weddings. Roy enjoyed spending time with his family - especially their yearly family trips to Old Orchard Beach. After he retired, Roy and Mary Elizabeth enjoyed camping at various campgrounds including at the Shore Hills Campground in Boothbay, Maine. Roy came to MVH South Paris in May 2016. Thank You, Roy, for your service to our nation!